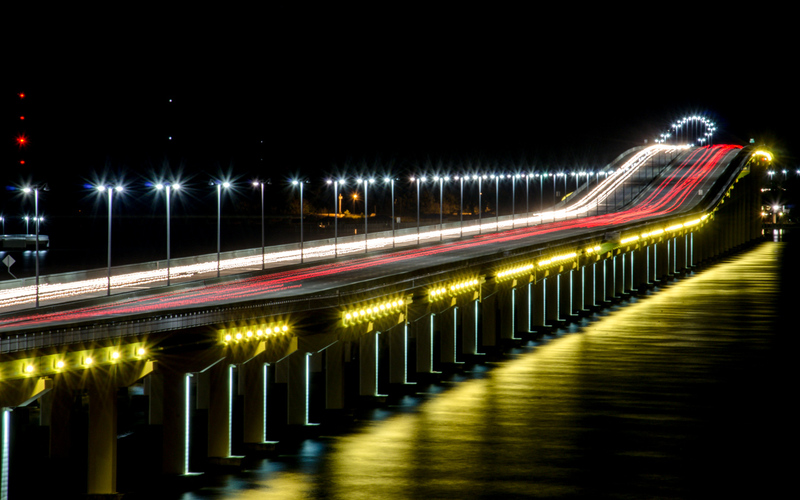 The Bridge Leading into Biloxi, MS at night. Please do not email, copy, print, or use anywhere but as a wallpaper. Being from NOLA I have driven that bridge countless times, never looked that good. Thanks for sharing. Fantastico!!!! The colors are really cool for this type of pic! Yeah, thats one of the reasons i love this bridge, all the colors are so cool. I also have the same bridge as a wallpaper here in B&W. how cool is this love it.